A decade ago, trading of stocks, bonds, futures and options took place on web-based platforms on stock trading websites. We all remember how the protagonist in the film ‘The Pursuit of Happyness’ struggles to become a stock broker and the triumph he experiences when he finally succeeds. 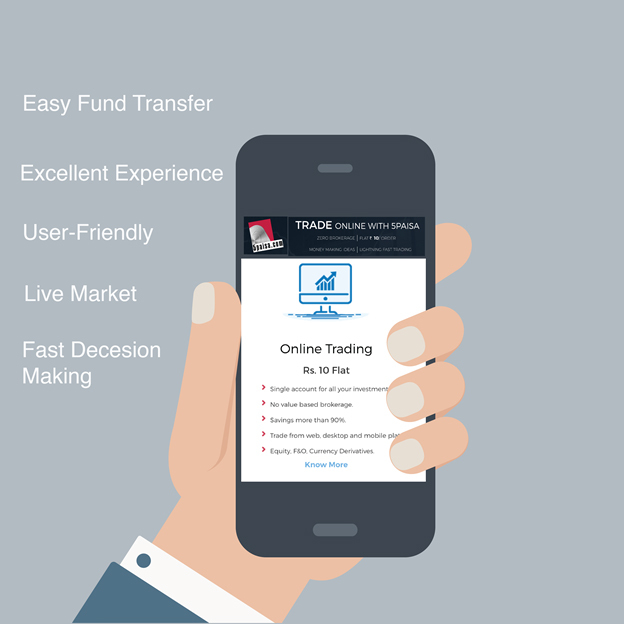 With the advent of mobile trading applications, anyone can, and is, trading stocks from the convenience of their palms, thereby making most of the stock market in India. A decade ago, trading of stocks, bonds, futures and options took place on web-based platforms on stock trading websites. Most of these platforms were provided for free or at a minimal charge by brokering companies such as India Infoline, Sharekhan, Motilal Oswal, ICICI, etc. After the advent of Android mobile phones, stock market applications/trading apps have made the process easier and convenient. The market for mobile-based online stock trading on the NSE was recorded to have increased by 150% in 2014 – 2015, with transactions ranging from Rs50,800-1,16,186cr. Most of these transactions were conducted by traders with a low-ticket size. Anyone and everyone can become a broker and explore trading in equity, derivatives, futures, and options. They can avail intraday trading tips, which aid in decision-making. A few drawbacks, such as the dependence on the internet or mobile networks, varying speeds of performance, and slow updates/notifications do exist, but the benefits are far greater.